The US Department of Energy has confiscated $21 million from electric vehicle company Fisker Automotive to collect on a $192 million loan that the company received from the government, The Wall Street Journal reports. The DoE said it took back the money, which came out of a reserve account funded by car sales and investors earlier in the month. The first repayment of the loan was due on Monday. The original loan offered the company $529 million, but the money was cut off at $192 million after Fisker failed to keep the terms of the agreement. 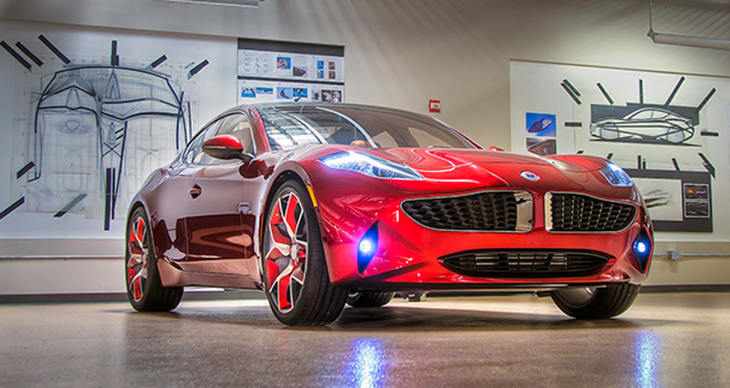 Fisker, which is also backed by Kleiner Perkins Caufield Byers, is in dire straits. At the start of the month, the company dismissed 75% of its employees, keeping just a small core group to try and salvage the project. One research report calculated that Fisker spent $660,000 on each of the 2,500 $103,000 cars it made. Rival electric car maker Tesla, which filed suit against Fisker after founder Henrik Fisker left Tesla to start his own competing company, so far seems to have a brighter future. It announced a custom leasing program for its Model S vehicle earlier this month, and hit its first quarter of profitability, though it did so with a little help from its friends. Tesla’s operations have had their share of difficulties, though. The company is currently fighting a law in Texas that prevents it from selling cars out of its galleries.